is an act of trust and we take that seriously. 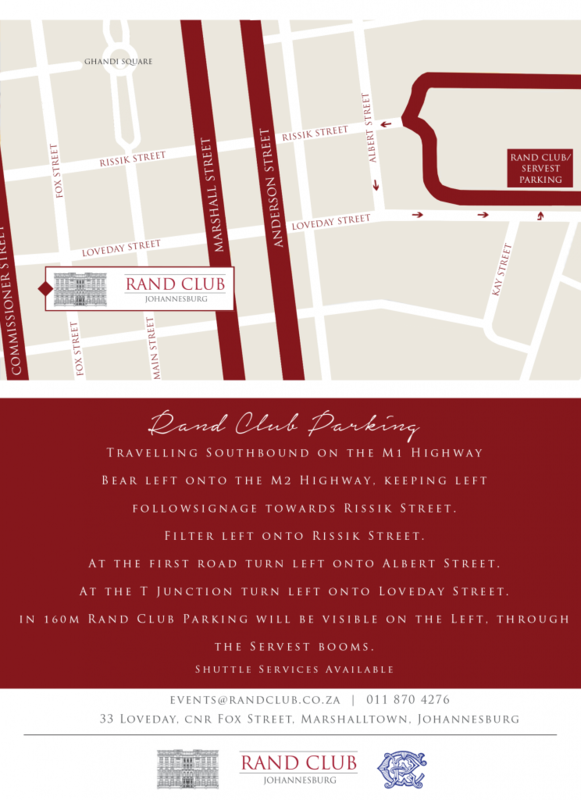 Rand Club has limited parking available in its private Loveday Street enclosure, but has a dedicated offsite parking area two blocks South of the Clubhouse. 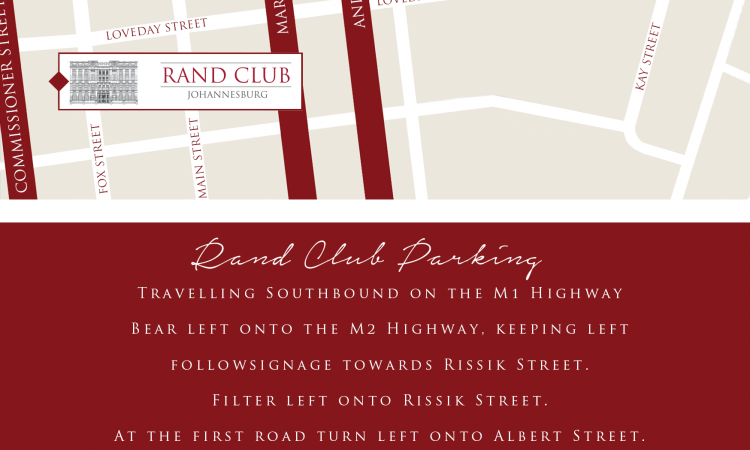 Visitors are discouraged from using the services of car guards in the vicinity of the Club.